The Billion Hero ChallengesteemCreated with Sketch. Ok time to get serious. In Hollywood last month we described our plans to turn the HERO into a mainstream adopted currency. Today, with the publication of the physical copy of the June edition of Avant Garde Magazine at a mega-whale gathering in Indianapolis, the contest to win a Billion Dollars worth of BitShares (BTS) begins in earnest. Teams are forming. Anyone can play. 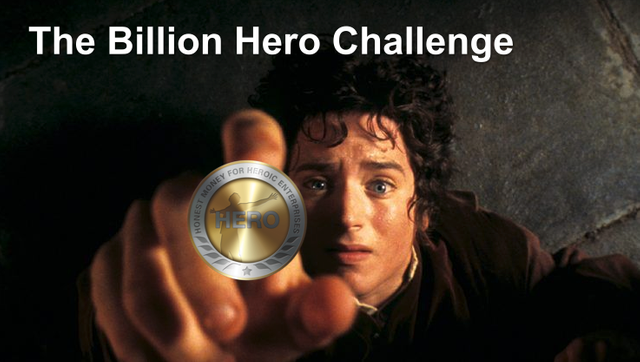 What exactly do we mean by "Billion Hero Challenge"? We want to cause a billion HEROs to enter global circulation to achieve mainstream adoption. We want to raise up an army of a billion heroic adopters to buy and/or back those HEROs. We want the backers to have nice fat retirement accounts. We want the holders to have +5% savings accounts. We want to grow the market cap of BitShares by three factors of ten so it can back a billion HEROs. We want to grow our donated billion-hero-prize value by three factors of ten - from one million USD to one billion USD. We want that army of supporting heroes to experience that same growth in each of their own BTS accounts. We want to build BitShares Island and have a 40 foot catamaran anchored there...beside yours. Some of the world's most accomplished and recognizable heroes are already signing on to rally their networks of fans and like-minded people to win a piece of this jackpot for their chosen Good Causes. We believe that such a competition will propel the HERO to mass adoption far more quickly than jousting with our friends and competitors inside the inbred digital currency community. We are taking our product to the world. It is ready for Prime Time. All incentives are aligned. The contest will end when our donated million dollar prize reaches a billion dollars in value. A factor of 1000 growth. Bitcoin did that in six years. Ethereum did it in two. But they didn't have a army of mainstream heroes backing them. And, quite frankly, they couldn't scale to handle the necessary traffic. BitShares intends to blow those prior records out of the water. We will be revealing more and more about who is involved and what they are doing between now and Global Independence Day (coincidentally, the Fourth of July, when BitShares was conceived in 2013 and when the intended outcome of the world's first republic was declared in 1776). Today, let's look at the preliminary contest rules. (Final rules and purse parsing distribution will be determined by Heronomex on July 4, 2017 and may be amended by the leaders of the top twelve teams at the end of the Qualifying Round. The billion-hero-prize account will be funded with $1M worth of BTS on or before this date. 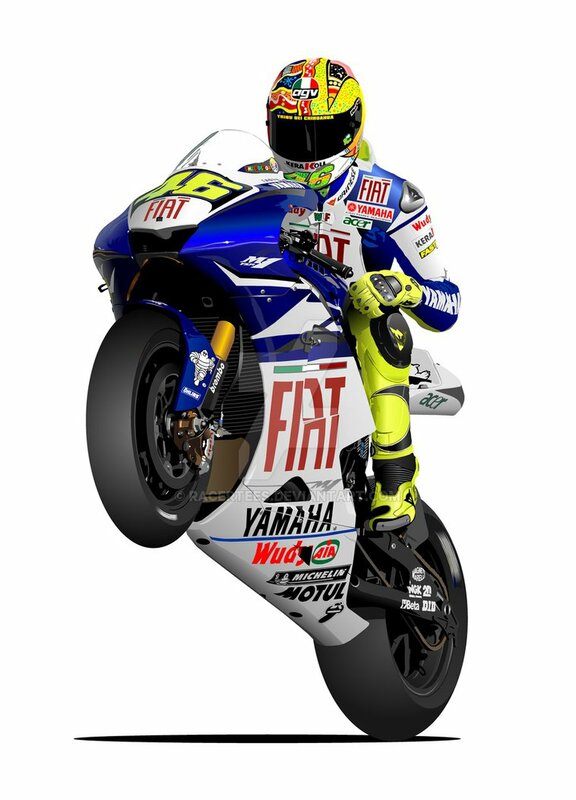 • The winner is the team that has backed the most HEROs when the value of the billion-hero-prize account exceeds $1B at the BTS price published by coinmarketcap.com. • Automated software will scan the BitShares blockchain continuously and publish the names of the leading twelve teams at SovereignHero.com. Anyone can check these results using their own scoring software, since the BitShares blockchain is open to public inspection. • Anyone can play by simply saving BTS in their own account and locking them up as collateral to back HEROs, which they are free to hold, sell, or spend. No purchase is necessary - all participants' funds remain their own! • Anyone can join any team, and change teams at any time by simply entering the account name of that team’s leader in their own account’s proxy setting. This tells the scoring software which team gets credit, without changing who owns the collateral locked up in the account. • Contest rules may be amended by a 2/3 majority of the leading teams while the billion-hero-prize at the end of the Qualifying Round when prize value exceeds $10M. 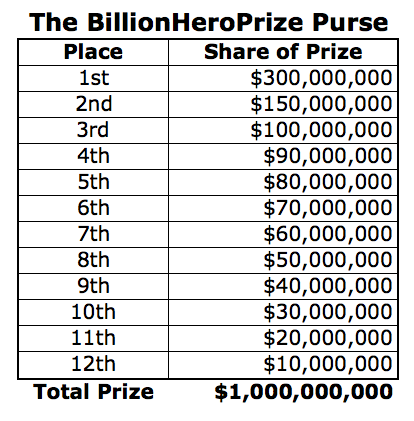 Amendments may continue while the billion-hero-prize account lies between $10M and $100M. No changes are permitted after the billion-hero-prize first exceeds $100M in value. • When the billion-hero-prize account first exceeds $1B, it will be divided among the top 12 teams as shown in the table. • Anyone is eligible to play, because the rules and scoring mechanism are transparent and enforced by robotically honest blockchain. Whichever team of heroes backs the most HEROs becomes the global Hero who led the charge to bring us truly Honest Money for the first time in human history. We reserve the right to refine these rules until Global Independence Day when the refined rules will formally go into effect. Comments are welcome until that time. All decisions of the contest sponsor and prize donor, Heronomex, will be final. No purchase necessary, void where prohibited. Why are you basing the prize account value "finish line" on coinmarketcap.com instead of the BitShares blockchain median feed price? If you use the feed price than you'd have an absolutely clear and deterministic winner even if it's a close race at the end, because the number of HEROs backed by each team and the median price feed can both be checked with the same per-block granularity. THIS IS PRETTY AMAZING AND SURE DESERVES MORE AND MORE THE TITLE IT IS NAMED BY! ...And it is by the people acting as saints that such technologies are provided to prosper for all. The rules needs to be defined. To me it seems like another whale party. I might be able to contribute with a few thousand. Am I interesting enough? You are merely building your own wealth and giving credit, not your wealth, to a cause you want to win a piece of the prize. You don't need to be interesting to anyone but yourself - unless you want to be a leader. Pretty stiff competition there... but you could go to work for a leader's team and perhaps earn some reputation. Hi there, its been a while. I remember few months ago, I guess that was last year. We have discussion about a post of mine about religion. How are you today sir? I should call you sir because you are not just anybody but somebody. You dont need to because you have already achieve something and its not just something, but a big thing. Let the games begin indeed, while the incumbents are busy trying to build private blockchains to try to extend the old rotten game ;-) !!! Sounds great. I took a long position on BTS 2 weeks ago so this is a great way to reinvest and help propel us all forward. Great thinking! Also I loved your recent conference. Gave me great faith and understanding in the technology and brand! Well this is going to be interesting. Glad I've added a bunch of Bts lately! "Whichever team of heroes backs the most HEROs becomes the global Hero who led the charge to bring us truly Honest Money for the first time in human history." I feel like the kid who shows up in class and has to come up with lame excuses like "The dog ate my homework." I've just opened a BTS account, and now need to struggle to figure out how to buy some BTS? Can I exchange Steem directly to BTS? From zero to Hero!!! Did get some BTS. Reading up on Hero...Thanx for the heads up to read more about it and to see what actions can possible take. Can I exchange Steem directly for BTS? Or do I have to bring in external Bitcoin somehow? I'm pretty much stuck at Step 2 on that page. Do I have to buy Bitcoin with Steem before I can buy BTS? This is where all the experts hang out. They love to help people with questions like this. I love this, definitely participating. But how do we fix the site? The design is completely confusing, there is 10 times too much half-random content and the certificate is broken so 90% people won't even go past the warning. This project deserves some slick design from a top firm! Would it not be better to hire a large PR firm to handle those details? We have one of the best PR firms in Manhattan working this - as a Heronomex insider. Excited to see how they will approach this. For the site, there is a good one who's interested to do a concept. Let's see if they want to continue anyway. Yes would be good if they help with whole branding / image thing. Will look around. I would recommend FleishmanHillard. Quite possible to work out a deal on share payment I would imagine as it incentives them to continue to perform . That is the high end of the scale but you get what you pay for. Smart money is called smart money for a reason. I only got recommendations for small shops or independents. Not sure what's best, they might get more creative. I will follow up with interested ones. Name a few top firms? I use squarespace and make it myself. They have loads of templates, lookssuper professional and it's automatically altered for whatever platform people are viewing it on. If your current site is made by a PR firm I would fire them because when I looked at it a week ago I thought it looked terrible and scammy (Just an honest initial impression). I just tried loading it now and it's down. Also, the certificate doesn't work which makes it look even more scammy. I think you really have to put attention into the look of the site because when you promise something like guaranteed 5% people will immediately be suspicious. Just my 2 cents. It was put together by volunteers in three weeks. We have an awesome PR firm now taking over - figuring out a complete new multi-site plan. Give it time. This is going to be insane! I am understanding it better with each post. Looking forward to World Independence Day! @stan well stan, I'll bet your Mom is real proud these days.... after all, she gave birth to a Hero who creates Heros...! That is one fine accomplishment .... :) Hat's off to you Bro! ......America urgently needs more of your breed! @Stan LOL... 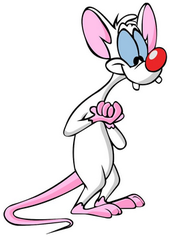 I so remember this dude! ... Oh man the good souvenirs it brings to the surface! That was one of my favorite shows.... I'm 58 today and yeah, times have sure changed! We have a huge job to do and nobody said it would be easy! But as we all have what it takes upstairs, all that's left is for us to use it to the benefit of others. As the good Saint really! It's the total shift from what the powers that be have forced upon us all globally... The game now changes in a 180 both psychologically and in terms of wealth distribution. The taking back of power essentially. Our power to create and be rewarded rather than rewarding a select few at the top. the power to give and share like never before. the power to make our own world the way everyone always wanted it to be, the way our forefathers envisioned it and gave their lives to its ascension .... we've come a long way, ... to far ahead to give up. Its time to stop the insanity and make ourselves the Heros of those who are coming in to fill our shoes and also in remembrance and honor towards those in our wake. The sovereign Hero isn't just a way to acquire wealth but also to reward creation and the creative spirit in each of us. 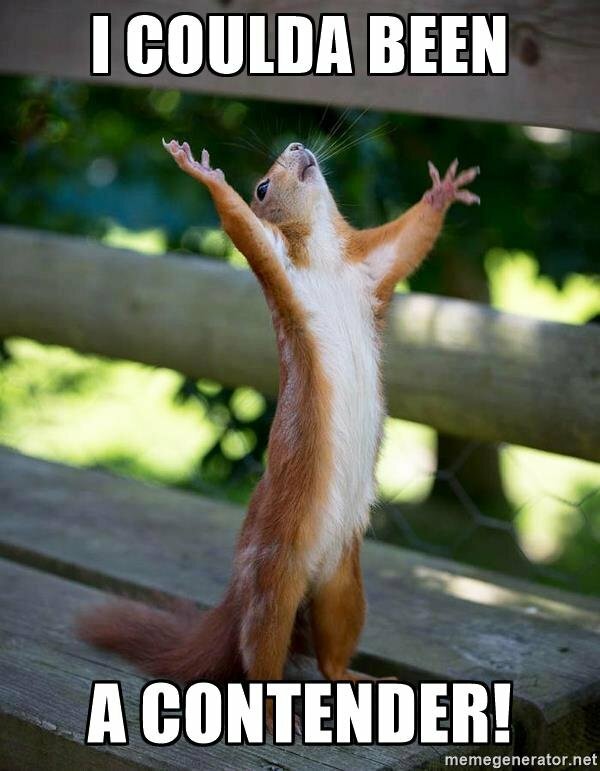 we owe this to ourselves my friend, and once again, we just needed a push from a good Saint! Thank you Stan, wholeheartedly appreciated! Thumbs up! 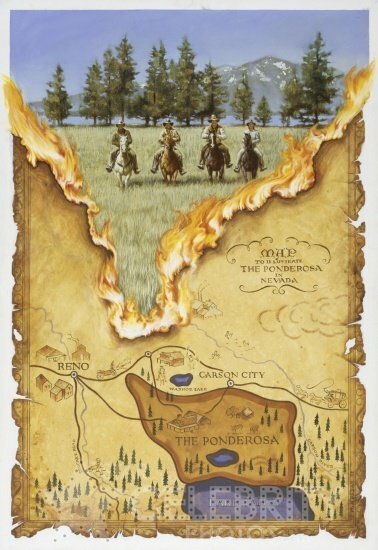 If we can set enough brushfires, this could go global before it can be effectively opposed. What happens if a billion people are playing this game six months from now? Hmm...not sure how we all get rich. Sounds like already rich people continue to get rich in whatever scenario I play out. The same thing happens to every single bitshares account that happens to the billion-hero-prize account. hovv do I join team? Watch for upcoming details on my blog. Hmm to dumb it down alot. Basically they are having a share holder's raffle, the raffle tickets are free and they lend you some cash aswel to trade with while your funds are locked up. When you return your HEROS coin you get your BTS back. If you withdraw your coins from the raffle before the date your raffle ticket becomes null and void. you create a hero by backing it with at least 2x that value in BTS. you can sell that hero to someone who wants a stable asset. If the value of BTS goes up you can buy back the Hero for less than you originally paid, and as a result earn a bit of BTS profit. This competition is designed to turn a donated $1,000,000 into $1,000,000,000 by driving up the value of BTS by making everyone compete to create HERO. Once the prize pool is $1,000,000,000 then the winnings are redistributed amongst the winners! Everybody wins, Everybody profits and the world gets the first guaranteed income asset. But what will happen if the USD itself is taken out of the scope? World financial crisis, or something like that. This is just not taken into account, but that's rather strange coz the whole idea is to ruin the present monetary system ;) Any discussion on that out there? I'm eager to participate in that discussion. But my point is not a fear. My point is - what all these HEROES will go for? If it would be only a yacht for a winner and not a real sector investments - this is not about a heroes, this is about a big mess. Is there any message to public on "we need your business on DAC to contract you for the Moonbase program", or "Let's build this damned hyperloop stuff for this guy", or "We need this patents be bought out and used as inteded"? I didn't see such a slogans on the HERO posters. Suppose, my voice will be a minority report on this topic, but I just need to be sure that I understand the message of this outstanding affair right. Yesssss, thank you Stan, for the update. GAME ON! I wish you luck but even BTC didn't achieve main streem adoption some coins have less then 1000 speculators and 0 adoption but are top 100 coins. If you get 0.0001% of the population to use the coin (not speculate) that will be a miracle! We have far better technology and now far better mainstream marketing. Sorry,but sounds stupid and childish. Anyways,good luck! A bit too long, but if I understand correctly, this is an ICO? Nope. It's a game! Stay tuned. ... a quick heads UP !! ... the "SovereignHero.com" link in the COnTEST paragraph is being 'flagged' by firefox ?? ... and MaY i ask ?? wHERE can i find more information ??
" ... to bring us truly Honest Money for the first time in human history." ... any other reCOmendations ?? Thank you for the detailed post. I hope to be a millionaire from this one day. We will probably come up with additional ways to vote for your team besides shorting HEROs - so everyone can play without knowing advanced techniques like shorting. Just owning BitShares or HEROs should count too. Stand by for details or help us figure them out. I am very much intrested in this contest. How could one not be participating i wonder. I am All In here with my Steem... Hail Steemit!!! This is going to be insane! I am understanding it better with each post. I am confused because I can't understand this as I want to. I am reading and researching " The Billion Hero Challenge " but still this is not clear to me. Please share more links or add explanation in deep for average person/user. Thanks for all the information I'm sure I must give it a try. We'll be writing about it soon and building some support tools for you. 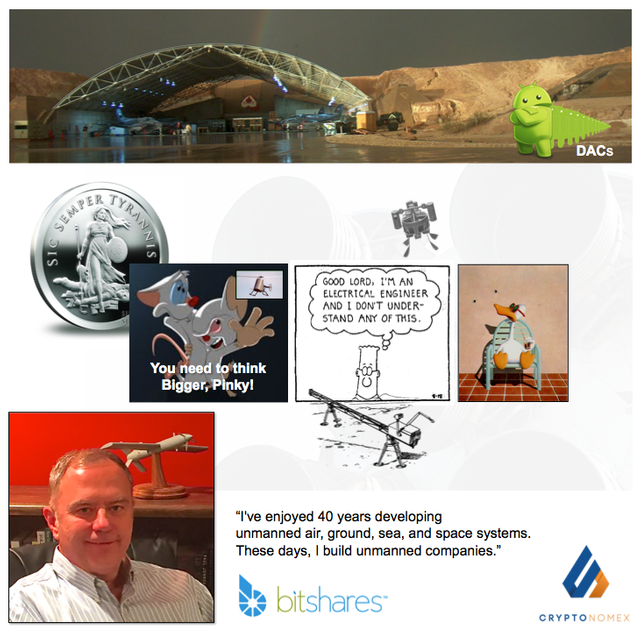 In a nutshell - designate a bitshares account that people can vote for and start building a following for your BHAG. All you need is a Steem tag really to get started building support. When the time comes you can apply for a link on the main site. Please make your comments relevant to the post you are commenting on. Downvoted.